Margaret K. McElderry Books, 9781442429918, 336pp. A boy risks his life to save some very special children in this fantasy adventure rife with “moments of real beauty and mystery” (Kirkus Reviews), set amidst the rich backdrop of Renaissance Venice. In Renaissance Venice, the secrets of glassblowing are guarded jealously. Renzo, a twelve-year-old laborer in a glassworks, has just a few months to prepare for a test of his abilities, and no one to teach him. If he passes, he will qualify as a skilled glassblower. If he fails, he will be expelled from the glassworks. Becoming a glassblower is his murdered father’s dying wish for him, and the means of supporting his mother and sister. But Renzo desperately needs another pair of hands to help him turn the glass as he practices at night. 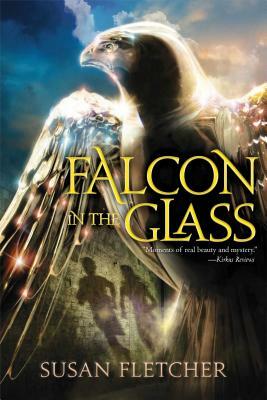 One night he is disturbed by a bird—a small falcon—that belongs to a girl hiding in the glassworks. Soon Renzo learns about her and others like her—the bird people, who can communicate with birds and are condemned as witches. He tries to get her to help him, but discovers that she comes with baggage: ten hungry bird-kenning children who desperately need his aid. Caught between devotion to his family and his art and protecting a group of outcast children, Renzo struggles for a solution that will keep everyone safe in this atmospheric adventure.